Who Needs a Patient Relationship When You Have an EHR? The patient is just getting in the way anyhow, right? Is the American obsession with EHR technologies a flagpost for improved patient relationship management for doctors and better medicine for patients? Or is it a convenient distraction from more fundamental healthcare issues? 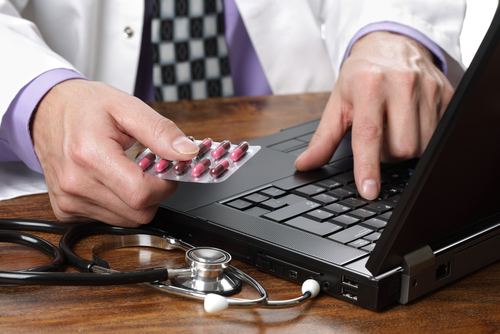 Why should doctors trade-up to the latest EHR in the cloud application? EHR in the cloud or on your tablet is a productivity and patient-relationship management tool just like CRM for sales people. That sounds like a reasonable claim, right? Better data and more accessible data helps save time and improve quality of diagnosis. Not fiddling with IT and running an application in the cloud should save time. But, hold on a second. We’ve now shifted the discussion from people to technologies. It’s all too easy to cross the line from people to systems. As any programmer will tell you, data trumps human relationships any day of the week. Data transactions don’t talk back. They don’t mumble or smell bad or look disgusting. They don’t have annoying family members and insufferable caregivers. They don’t present you with problems that require cross-cultural understanding. EHR systems don’t require you to listen to patients in a mindful, empathetic way. With the amount of legal exposure that doctors face and with heavy workloads and long hours, perhaps it’s best to limit the human relationship in favor of data transactions where a doctor can document what they did and mitigate liability when adverse events happen. Are patient relationship management systems a sine-qua-non for better health? We can benchmark the efficacy of patient relationship management systems in terms of 3 kinds of addictions: technology addiction, information addiction and media addiction. Over 700 US software companies have certified their EHR systems for meaningful use. The notion of meaningful use can transform into doctors leaning forward to their PC monitor, concentrating on data entry during a patient visit. This is a disturbing indicator of technology addiction that is not necessarily to the benefit of improved patient care. There is a fundamental difference between data flow and human interaction. With limitations on physician time, it is important to throttle the amount of DATA flowing between physician and patient and have a strong trustful patient-doctor relationship. However, limiting (as insurance companies would prefer) the human patient-doctor relationship in favor of digital transactions will do nothing to improve care and patient trust. Don’t believe everything you read online. 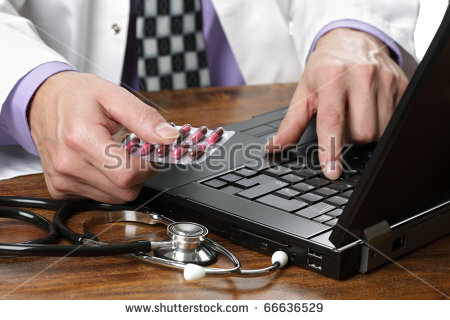 I imagine that most people buy into the idea that EHR and online access to EHR improves health. However, a recent (late 2012) article in JAMA reporting on a clinical study indicates that more online data sharing between doctors does not improve health of patients. As the study shows, the notion that online access to health records improves health is not supported by the empirical data. It’s easy to justify a trade up of paper records to electronic data capture on the basis of improved productivity and accessibility to historical patient records. It’s less easy to implement an EHR system (as most doctors worldwide will attest) and less clear that placing a greater emphasis on technology will improve our health.